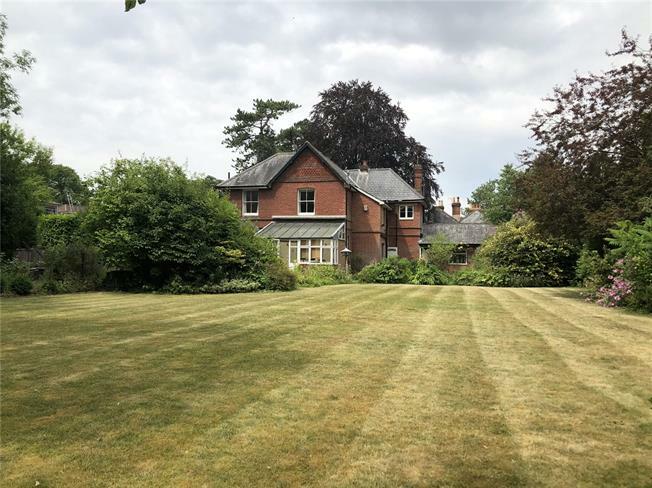 5 Bedroom Detached House For Sale in Winchester for Guide Price £1,575,000. extension and refurbishment and enjoy views to the gardens beyond. The ground floor is completed with a study, utility and cloakroom. windows and ceiling heights are a lovely feature to the first floor. Attached to the house is a double garage allowing for excellent storage or further scope for improvement. Situated in a highly-favoured position in St Cross, one of Winchester's most sought-after residential areas. The centre of the Cathedral city of Winchester is within approximately one mile with a superb range of cultural, leisure and shopping facilities including the popular Everyman cinema and Theatre Royal in Jewry Street. The area is well served with an excellent range of both state and private schooling for all age groups including Kings' Secondary School, Peter Symonds Sixth Form College, Winchester College, Pilgrims and St Swithun’s to name just a few. The property also lies in the catchment area for St Faith’s Primary School which is in huge demand. Communication links are first class with the M3 providing access to both Basingstoke and London and rail services from Winchester to London Waterloo with journey times of about one hour. Southampton International Airport offers daily flights to a variety of UK and European destinations. There are delightful walks through the water meadows along the Itchen and to St Catherine's Hill from which stunning views across Winchester can be enjoyed. the side of the house where the main entrance can be found. The pathway continues through a wrought iron gate to the impressive rear gardens beyond. The gardens are mainly laid to lawn with mature shrub and tree boarders. There is a separate access to the rear gardens from Stanmore Lane.